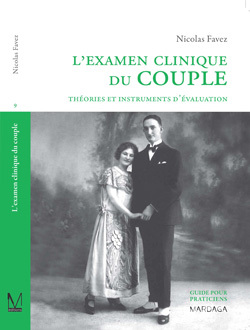 In a thesis defended on 17 March 2014 at the University of Lausanne, Isabel Valarino focused on the past and current discourse surrounding progress made in the area of parental leave and paternity leave. Her analysis was enhanced by a case study of Lausanne City Council. The researcher demonstrated that the needs of employees and their families tend to be subordinate to those of employers and the economy. While motherhood is considered an intense and restricting responsibility, fatherhood is still regarded as a flexible, optional commitment. How are developments concerning parental leave changing practices and representations of parenthood in Switzerland? Isabel Valarino has just been awarded her doctorate as part of the IP6 team at the National Centre of Competence in Research LIVES. She has shown that, on the one hand, the practice of differentiating between motherhood and fatherhood is still rarely challenged, and, on the other hand, both theory and practice are dominated by economic considerations. “I have never seen anybody put so much work into a thesis”, said jury member and professor of sociology and gender studies at Indiana University – Purdue University Indianapolis, Linda Haas, when the thesis was defended. “It is innovative in several disciplines and is the first thesis to show such interactions between different levels”, added Gerda Neyer, professor of demography and family policy specialist at the University of Stockholm. Other jury members were Prof. Nicky Le Feuvre (UNIL), IP6 leader, and Prof. Laura Bernardi (UNIL), NCCR LIVES deputy director and thesis supervisor. In Switzerland, the issue of parental leave and paternity leave has attracted growing interest since maternity benefits were introduced in 2005. Nowadays the vast majority of male employees are granted one day’s leave by their employer for the birth of a child, but only a minority are entitled to several weeks' paternity leave. This makes Switzerland an exception compared to other European countries. Isabel Valarino analysed the content and discourse of parliamentary proposals made between 1998 and 2011 on this topic, as well as relevant press articles. She complemented her research with a case study of employees working for Lausanne City Council, which, since 2010, has granted new fathers 21 days' leave to be taken within twelve months of the birth of their child. Register data allowed her to perform a statistical analysis of the 95 cases of employees affected by this law between 2010 and 2012. Of the men who made use it, she interviewed 22, as well as 8 managers who had encountered this kind of situation in their teams. Her observations show that representations and practices of parenthood are changing, although they remain strongly influenced by gender divisions and the importance given to economic aspects. “With paternity leave, fathers become more involved in their children's lives. But they often anticipate their employer's expectations that they won't disrupt the day-to-day functioning of the company. And the division of tasks with their partners remains unequal”, explains Isabel Valarino. The researcher found that only half of new fathers employed by Lausanne City Council took all of the days' leave to which they were entitled. What is more, the majority postponed a large part of their annual leave. Only 13% of men from her sample took all the days of both types of leave during one year. Employees with a high level of responsibility, those working part time and in predominantly female or mixed environments, as well as some employees with little seniority, have a greater tendency to forego part of their leave, which highlights how an employee’s professional context can influence whether or not he takes paternity leave. The majority of managers who were questioned confirmed that they felt that the interests of the organisation took precedence when leave dates were negotiated. In spite of the differences she observed, the researcher still thinks that changes are taking place. In particular, taking paternity leave allows men to assert their status as fathers in the work environment, take some distance from their work and shift expectations. Furthermore, even though the principle of paternity leave as enshrined in federal law is not always on the agenda due to economic reasons and the endurance of very gendered views about how tasks should be shared between men and women, “ways of thinking are changing”, she says. With this in mind, in addition to her thesis, Isabel Valarino wrote a report for Lausanne City Council in which she shared her findings in detail and put forward several suggestions for improving how paternity leave is implemented. In order to continue her reflections on the development of practices and representations of parental leave, Isabel Valarino is now pursuing her research on fathers who have taken at least one month’s full-time leave to look after their child or children on their own. This study is part of the “Fathers on Leave Alone” project by the International Network on Leave Policies & Research, and is currently looking for participants. Several zoology and Bible metaphors were used during the international conference "Assessing the Social Investment Strategy", which was organised by and took place at the Swiss Graduate School of Public Administration (IDHEAP), with the support of the University of Lausanne and the National Centre of Competence in Research LIVES. It was an opportunity for much rhetorical and theoretical jousting based on two central questions: how can the social state limit precariousness in a sustainable way and how can these efforts be measured? The forty or so researchers who had come together to debate social investment policy in Lausanne from 10 to 11 April 2014 analysed, compared and questioned a lot. They left with no certainty but new ideas for their work, thanks to the different methods and perspectives to which they had been exposed. "The discussions gave rise to more questions than answers, but the aim of this conference was not to provide a cookbook. It is an on-going academic debate. And we have to accept that research is not usually directly applicable", acknowledged the main organiser, Prof. Giuliano Bonoli, at the end of the event, adding that he was very happy with the exchange of ideas that had taken place. At the opening of the conference he had emphasised the key question: "To what extent is social investment able to reach the most disadvantaged individuals in society?" This refers to the much-feared "Matthew effect", which takes its name from a verse in the Gospel of Matthew: "For unto every one that hath shall be given, and he shall have abundance: but from him that hath not shall be taken even that which he hath". This concept was ever present throughout the conference. It came up again during the final round-table discussion and no real answer was found. For some attendees, such as Gøsta Esping-Andersen, who gave a very well-attended plenary lecture on the first day, the solution was clear: "We should put money [i.e. from "social policies”] into kids: nobody could go to the stock market and get this kind of return!" One participant asked him how it could be ensured that the poorest individuals were really being targeted. "The upper class must be happy with the system of childcare in order to finance it ", replied the famous Danish sociologist, thus putting forward an initial approach. However, not all speakers were convinced by this idea. For example, Bea Cantillon from the University of Antwerp still did not believe that social policy should prioritise social investment. Comparing social investment to lions, which are "dangerous for the weaker", she said she preferred elephants, which are "slow and protective", thus representing the welfare state. She added that there were also the butterflies, that she used to describe social innovation or, in other words, bottom-up activation policies. "But butterflies are too volatile... " "We should mix the three approaches", she concluded. Over the course of the two-day conference, several discussions demonstrated the importance of the regional context, the limited scope for analysis based on the data available, and the difficulties inherent in evaluating the results of social investment when there is no real way to control for it. "We are trying to torture the data", acknowledged Giuliano Bonoli, making it clear that "research helps to develop indicators, and thus monitoring – for example, by extending the notion of the poverty line to the issue of social exclusion." Despite the doubts and the unanswered questions, these two days of reflection did give rise to some certainties during the round-table discussion. "The countries that have invested have done better during the crisis", stated Lieve Fransen, Director, Social Policies and Europe 2020 at the European Commission. "By making cuts in the education sector, Spain is doing the contrary: it is a way for disaster in my opinion", she added. She also said that she hoped that research into social investment would provide policy makers with more instruments and measurements: "Measuring the non-investment would be an important area of work!" Finally, what was the verdict on the original question about whether social investment can overcome the Matthew effect so that it is not just the most privileged people who benefit? The conference participants were cautious but there was an overall consensus. Some participants even suggested that granting benefits to the poorest people could be seen as a form of social investment, since without this, the children of these recipients would have a bleak future ahead of them. All of the participants in the round-table discussion thus recognised that social protection and social investment complement each other and should not be mutually exclusive. Ludwig Gärtner, Deputy Director of the Swiss Federal Social Insurance Office, said mischievously "We need both elephants and lions. And we also support butterflies!" However, he reminded researchers to take into account countries' budgetary constraints and the strength of public opinion: "In Switzerland, there are very strong ideologies around family and early childhood", he warned. During the past months, Prof. Dominique Joye joined the methodology committees of three important international studies. The head of IP15, also a professor at the University of Lausanne and a researcher at the Swiss Centre of Expertise in the Social Sciences FORS, explains the interest to be involved in such scientific endeavours. According to Dominique Joye, who is also vice-dean of the Faculty of Social and Political Sciences at the University of Lausanne and a partner in the Swiss Centre of Expertise in the Social Sciences FORS, there are many individual and collective reasons for joining such projects. He also mentions other research questions, where there could be an interest in comparing Switzerland to other countries, such as social inequalities, xenophobic feelings, etc., so many issues that echo NCCR LIVES’ concerns. “It is not bad at all to see Switzerland at the heart of these very large international surveys’ methodology”, the head of IP15 is delighted to say. At a time when Switzerland is showing signs of pullback and when its participation in European research projects is being called into question, the news deserved at least to be shared. Investing in the development of skills from early childhood enables the welfare state to significantly reduce its expenditure in the medium and long term: this is what the Nobel Laureate in Economics James Heckman calculated in 2009 on the basis of data from a famous experiment, The Perry Preschool Study. This longitudinal study, which was conducted on two groups of children starting in the 1960s, shows that, forty years later, those who received good quality pre-schooling have higher levels of education, more stable jobs and higher incomes, and less arrest records. These findings corroborate the concept of social investment that has been developed since the 1990s by Gøsta Esping-Andersen. Currently a professor at Pompeu Fabra University in Barcelona, he is one of the most quoted authors in the field of research on the welfare state and has taken part in numerous international organisations in order to bring this thinking into the political arena. But the views of the Danish sociologist also have their detractors. Facing some of these sceptics, he will be one of the keynote speakers at the “Assessing social investment strategy” conference organised by Prof. Giuliano Bonoli and four Swiss, French and Dutch colleagues on 10-11 April at the University of Lausanne (IDHEAP) with the support of the Swiss National Centre of Competence in Research LIVES. The other speakers in the plenary sessions will be Bea Cantillon (University of Antwerp), Anton Hemerijck (VU University Amsterdam) and Bruno Palier (Science Po Paris). According to its advocates, social investment aims to promote social justice and responds to the need to reform the welfare state in the post-industrial context, as characterised by the rise in unemployment, changing family structures, female employment, migratory movements and the ageing of the population. In the research community, however, some argue that existing measures primarily benefit the middle class and reflect a utilitarian and accounting logic that aims to further increase tax revenues and reduce the costs of social protection rather than fostering genuine human development. One of the objectives of the conference is to allow researchers to compare these points of view based on empirical results, giving rise to around thirty presentations. Another interesting aspect of the event is that it will look beyond the strictly European framework to see what is happening on other continents, and finally bring the debate to Switzerland. Indeed, while the Organisation for Economic Co-operation and Development (OECD) and the European Commission have recently adopted positions that are very favourable to social investment, less attention is given to what is happening in this field in the rest of the world, and Switzerland does not seem particularly concerned. "Certain measures along the lines of social investment have been taken in some cities and cantons, particularly in the areas of early childhood and professional reintegration, but few political parties have made it a central feature of their programmes", says Prof. Bonoli. At the Swiss Federal Social Insurance Office (OFAS), the head of the Research and Evaluation sector confirms that this subject is not on the agenda and no studies are currently being conducted into it. The conference will conclude with a round table discussion, which will include contributions from figures from various political, administrative and academic spheres, at both the Swiss and European levels. Views on social investment ranging from enthusiastic to cautious and critical will be represented. OFAS Deputy Director Ludwig Gärtner will take part, which the organisers hope will provide a good opportunity for Switzerland to get involved in this debate. One of the conference organisers, Prof. Bruno Palier, has been very active in advancing the cause of social investment in Europe, which, in 2013, resulted in the adoption by the European Commission of a Social Investment Package. This series of recommendations to the Member States for the modernisation of their social security systems underlines the importance of preparing populations for life’s uncertainties rather than simply dealing with the consequences. The researcher notes, however, that “for now, much more energy is put into monitoring budgetary restraint than into social investment projects". He also cautions against the temptation to substitute social investment for social protection, which he considers to be complementary approaches. And responding to criticism, for example that the increase in the number of nursery places primarily favours affluent families, he reminds us that "to succeed, social investment must aim for universality, and, in the meantime, should target the poorest populations, giving priority to single mothers and migrants". The Vaud Department for Health and Social Action has commissioned the National Centre of Competence in Research LIVES and the Swiss Centre of Expertise in the Social Sciences FORS to conduct a study in order to gain a better understanding of developments in income instability in the canton, and to take this into account in future social policy reforms. Between January and April 2014, more than 800 households of Vaud residents will have been integrated into the longitudinal study of the Swiss Household Panel. "Hard-to-reach populations are the ones we are most interested in!" Professor Felix Bühlmann has good reason to be pleased with the agreement signed in November 2013 between the National Centre of Competence in Research LIVES, the Swiss Centre of Expertise in the Social Science FORS and the Department for Health and Social Action (DSAS): thanks to this agreement, it has been possible to select around 800 families residing in the canton of Vaud to add to the sample from the Swiss Household Panel. Individuals on a low income are intentionally over-represented in this sample. Data collection will come to an end in April. In the Lake Geneva region, it is estimated that 16.4% of people live under the poverty risk threshold (set at 60% of median income), whether they belong to the category of the working poor or whether they are recipients of welfare benefits. However, in addition, a quarter of the residents of Vaud receive a subsidy in order to pay for their health insurance, and can thus be considered as being on a low income. "The objective is to obtain a systematic and synthetic overview of how the situation of vulnerable individuals evolves in order to strengthen the support system. This objective is in line with the 2012–2017 legislative programme, which aims to focus on prevention," explains Judith Kühr, who is responsible for research at DSAS and for coordination between the government and the NCCR LIVES on this project. This is the second oversampling exercise to which LIVES has contributed in connection with the Swiss Household Panel, led by the Swiss Centre of Expertise in the Social Science FORS. The other experiment centres around young people between 15 and 24 who have been educated in Switzerland, two-thirds of whom are second generation migrants. In both cases, the focus is on populations who are generally under-represented in large surveys. In addition to the questionnaire on the household as a whole, which is conducted by telephone or face-to-face, each individual member of the family is then invited to fill in a "life calendar". This tool makes it possible to track the trajectories they have taken in different domains, including work and health. The part reserved for relations with the institutions has been slightly adapted in the case of the Vaud oversampling exercise, in order to gain a more detailed overview of the links between the respondents and each welfare service provider: social services, unemployment services, disability insurance. The Swiss Household Panel (SHP) intends to re-interview the same people every year in order to be able to trace their development. A first sample has been ongoing since 1999 and a second since 2004. The third SHP sample, collected since 2013 with the help of LIVES, provides a life course perspective and focus more on the issue of vulnerability. Several of the 14 LIVES projects have added questions, and are waiting for the data collected by the polling institute MIS Trend so that they can carry out their analyses. The canton of Vaud is expected to receive an initial report at the beginning of 2015, then another after each wave of the survey. This collaboration between a government body and academic research centres is a positive development: "We have set the objectives together, and we have come to compromises in order to adapt ourselves to a different approach, a different time frame," states Professor Felix Bühlmann. From a methodological point of view, oversampling is a challenge, as it means that certain observations have to be weighted. This experiment will therefore not only provide the authorities with information, but will also lead to scientific progress. The presence of the Swiss National Centre of Competence in Research LIVES on social networks is growing. In what ways can these new forms of media be useful for academic research, and what are their target audiences? Like a seed sprouting after a long winter, the NCCR LIVES audience on Facebook and Twitter has recently started to emerge with the appointment of a young "Community Manager", namely Fiona Friedli. In one month, the number of followers has grown by about 40%, bringing together people from all walks of life. In the research community, however, the issue is still far from being resolved and plenty of reservations remain. At the National Centre of Competence in Research LIVES, we believe that social networks are useful tools for the transfer of knowledge that has been generated. As pointed out by communication sociologists Philippe Breton and Serge Proulx, “web users do not focus exclusively on what they are looking for a priori, but let their curiosity take them around different parts of the information environment”. The challenge is therefore to grab their attention through concise information so that readers can then be directed to more substantial content. The objective of the LIVES communications team is to promote the work of the Centre’s researchers and to provide information to stakeholders and the general public. The links posted on social networks can refer to events, scientific publications, outreach papers or more generalist press articles about research. Unlike other means of communication, social networks like Twitter or Facebook have a “pollinator” effect: when information affects one person, this person can pass it on very quickly to his or her own network. Thus social media may be seen as information channels that complement the other tools we already use to communicate both inside and outside the University. But this view is by no means unanimous in the academic world. Recently in Le Monde CNRS researcher Sylvain Deville expressed disappointment that, unlike the Anglo-Saxon countries, French researchers are often hostile to the use of social networks for relaying academic information, even though at an institutional level more and more research centres and laboratories have accounts on Twitter, Facebook, LinkedIn, etc. It seems to us that the lack of legitimacy affecting social networks also applies more generally to all non-scientific communication media. Which raises other issues: is it desirable to disseminate scientific research widely, and in order to do so to sometimes simplify the content of research? In regard to this point we refer to a debate by sociologists Cyril Lemieux, Laurent Mucchielli, Erik Neveu and Cécile Van de Velde, the latter also being very active on Twitter. This discussion - “The sociologist in the media: sharing and distorting?” - addresses the issues relating to the presence of sociologists in the media sphere, from the point of view of the sociologist as both a scientist and citizen. Erik Neveu notes for example that while media coverage of Sociology is currently growing and that this may present some risk of manipulation or diminishing of scientific language for researchers, it also allows “the introduction into social debates of elements of objectification of questions and formulation of research questions that can stave off simplifications, the false clarity of common sense, and the well-framed arguments of lobbies or institutions who have a hidden agenda." The sociologist adds that "this duty to speak also comes from the fact that we have the privilege of being able to conduct often exciting research thanks to taxpayers." While subtly drawing attention to some areas of tension which researchers have to address, Erik Neveu invites them to take on this demanding challenge: to make themselves heard in the media and society. Conscious of these issues, and in accordance with the mandate of the Swiss National Science Foundation, the management of the National Centre of Competence in Research LIVES intends to promote dialogue between the academic world and society at large: politics, economy, institutions, associations and media. A task to be achieved through collaboration between the Centre’s researchers and for which it is preferable to increase the number of communication channels. From August 25 to 29, 2014, the 4th Summer School on Longitudinal and Life Course Research will be organized at the VU University in Amsterdam. NCCR LIVES Head of IP14 will share a methodological workshop on sequence analysis with Prof. Cees Elzinga. He's also the co-editor of a recent book on Data Mining with Prof. John J. McArdle. This Summer School introduces participants to the main theories and methods in the field of longitudinal and life course research. It includes lectures and discussions led by top researchers in their respective fields. Examples are drawn from a wide range of longitudinal data sets. Computer lab sessions develop practical skills on multilevel modelling, event history analysis and sequence analysis. The faculty for the Summer School 2014 includes: Mel Bartley (ICLS); Francesco Billari (Oxford); David Blane (ICLS); Cees Elzinga (VU Amsterdam); Aat Liefbroer (VU Amsterdam & NIDI); Karel Neels (Antwerp); Dimitri Mortelmans (Antwerp); Matthias Richter (Halle); Gilbert Ritschard (Geneva & NCCR LIVES). Prof. Gilbert Ritschard, head of LIVES IP14, will conduct a 1-day workshop with Prof. Cees Elzinga. In the morning, they will address the theoretical aspects of sequence analysis. In the afternoon, Prof. Ritschard will train the participants on TraMineR, which is the methodological package currently developped within LIVES for longitudinal data mining. Prof. Ritschard recently edited Contemporary Issues in Exploratory Data Mining in the Behavioral Sciences with John J. McArdle, Senior Professor of Psychology at the University of Southern California. Prof. Ritschard will also lead a methodological workshop on October 8, 2014 prior to the next SLLS conference at the University of Lausanne (October 9-11, 2014). More information on the Summer School on Longitudinal and Life Course Research can be found on the attached flyer or on the Summer School website. Stefanie Spahni got a prize of 2500 Swiss Francs for the best poster during the SSG biannual congress on January 30-31, 2014 at the University of Fribourg. LIVES members Pasqualina Perrig-Chiello and Michel Oris gave the opening, respectively the closing scientific talks. The Swiss Society of Gerontology 2014 annual congress addressed “Experience, Prepare and Accompany Transitions”. This was a very “life course” topic and an opportunity for LIVES members to present their research. LIVES-Doctoral Student Stefanie Spahni from the University of Berne and working for IP12 and IP13 was awarded for her poster entitled « Verwitwung im Alter damals und heute" (Bereavement in Old Age Back Then and Now). Together with her co-authors, Professors Pasqualina Perrig-Chiello and François Höpflinger, she compares data of bereaved individuals belonging to two cohorts (1979 and 2011) with regard to their reported problems following spousal loss. Her analysis shows that the level of psychological and physical health of elderly widowed persons is globally the same today as it was thirty years ago regarding people of the same age. Like in 1979, depressive symptoms still concern more women than men. However, elderly women were suffering more of loneliness in 1979 than in 2011. Nowadays, women report this feeling less than men. Comparing the two periods, the most significant difference is the reduction of financial problems, which occurs for both men and women. The SSG congress brings together academics, politicians, chiefs of administrations, and NGO representatives. Prof. Pasqualina Perrig-Chiello, head of IP12 and Stefanie Spahni’s supervisor, gave one of the opening talks on “Biographical Transitions: Old Models, New Contents”. Prof. Michel Oris, LIVES co-director and head of IP13, did the closing lecture on “Transitions and Vulnerabilities in the Old Age in Switzerland: Results of the VLV Survey”. See the full programme with all abstracts. See Stefanie Spahni’s poster (in German). Nemo (Jared Leto), last human being to die of natural causes, remembers his pasts. Actually following an emotional trauma, the main character seems to have taken several paths, which led him to different places and kinds of existence. A dying man tells his life in the form of bizarre and fairy tales to his son, who thinks he is a liar. But are these stories really lies? Here everything is a matter of imagination and proportions. A poem, a story of silence and complicity. Shadow and light, the call of the night, the moon for passion... The story of dreams that come true. A moving musical documentary on the immigration wave that changed Portugal at the turn of the century. "Lisboetas" is an open window on new realities: ways of life, rights, religious practices, identities. A journey to an unfamiliar city. The movie shows the vision of a Polish man facing communism after Staline's death, period called "the destalinisation process". It tracks his hopes and his disillusionments, caused by the totalitarian regime and a will for emancipation. Romek, a 17-year old youngster, is hired as a taylor in an opera house. Through his eyes we take a look behind the scenes. A good exemple where Kieslowski re-create reality, fiction becoming the perfect loophole to show life and its foibles, without risking to really confront it. In 1969 in San Francisco, Ralph Arlyck films a little 4-year old kid. Sean talks about his daily life in a hippie family, surrounded by people hooked on amphetamines. Thirty years later, the film director traces back the boy and shoots the man he has become. But things have turned out differently than expected. "Four Friends" is the story, sometimes funny sometimes tragic, of Georgia and her three buddies. All are in love with her and choose different ways to seduce her, thus impacting their own life course. The movie is about three former female prisoners's fate in Tehran. It addresses these women's difficulties, as they are subjected to the hierarchy and the rules of the Iranian society, which are symbolised by access or denied access to different areas of the city. After having immigrated to Sydney, Rodica Gruia and Rodica Grill became close friends. Both in their nineties, they live amazingly active lifes, alway chatting, shopping and going out to coffee shops or to the gym like teenagers. Two destinies full of spirit, energy and wisdom. Portrait combining archives and recent images of Daniel Johnston, who was an American damned artist, songwriter and cartoonist suffering from manic depression. The 5th annual conference of the Society for Longitudinal and Life Course Studies (SLLS) will take place from 9 to 11 October 2014 at the University of Lausanne. The Swiss National Centre of Competence in Research LIVES is the local organiser. Call for papers and symposia is running until March 31. A symposium comprising at least 3 papers to be presented in a one and a half hour session or a series of two sessions. For each symposium suggested we require an overall abstract of no more than 300 words plus an abstract of no more than 300 words for each paper. Please provide names and professional affiliations for all presenters. A poster presentation for which an abstract of no more than 200 words is required. All contributors will be notified of the conference committee’s decision by May 31st 2014. More information about the conference and conference accommodation will be posted on the SLLS website as it becomes available. The fee for conference registration will be discounted for SLLS members so please consider joining if you have not already done so! Please visit the membership pages of this website for full details and a membership form to complete on-line. The Society’s journal, Longitudinal and Life Course Studies, will be a possible outlet for the publication of conference papers. During two days, forty-eight participants in the National Centre of Competence in Research LIVES’ Doctoral School will present their thesis project, and thirty experts will comment their work. Costanzo Ranci, professor of sociology at the Polytechnic Institute of Milan, will give the opening lecture. The fifteen sessions of LIVES 2014 “Doctoriales” will focus on a variety of topics such as work, ageing, social policy, family, education, health, unemployment, and methodological challenges in the study of life course. Prof. Costanzo Ranci’s opening lecture will address “Social Vulnerability in European Cities in the Age of Austerity. Structural Dynamics and the Role of Local Welfare”. His analysis draws on the results of the EU project WILCO, carried out in 2011-2012 in 10 European countries. On December 12, 2013 in Geneva, Stéphane Cullati presented his doctoral thesis questioning the Cumulative Advantage/Disadvantage model, which he found to be less pertinent in Switzerland than in the United States. The theorist Dale Dannefer was present to discuss the issue. Stéphane Cullati just gained his PhD in sociology for a dissertation in the article format addressing health trajectories of the adult population living in Switzerland. A systematic review was recently published in Advances in Life Course Research. The three other papers are empirical studies using the data of the Swiss Household Panel, with different samples and methods of analysis. His doctoral thesis confirms the influence of socio-economic factors on health trajectories. However, "in the context of Switzerland, we also find limited support for the Cumulative Advantage and Disadvantage model, suggesting this model may not be applicable to the Swiss context", possibly because of "the Swiss labor market context and the Swiss health national policy". During his public defense on December 12 at the Centre for Interfaculty Gerontology and Vulnerabilities Studies, Stéphane Cullati received warm congratulations from the five jury members, who nonetheless submitted several questions. Prof. Dale Dannefer, from Case Western Reserve University in Cleveland (USA), said it was "an impressive dissertation and an excellent contribution to the litterature". Within NCCR LIVES, Prof. Gilbert Ritschard described the work as "very clear", with "advanced tools that are not easy to use". The thesis supervisor, Prof. Claudine Burton-Jeangros, also praised this contribution "at the intersection between epidemiology and social sciences", whose conclusions show that facing vulnerability, "compensation mechanisms exist". Questions notably focused on the pertinence of self-reported health data in panel studies, and on the relatively short duration of the longitudinal follow-up (less than ten years for each of the empirical studies). So many topics to be further explored by Stéphane Cullati, who will join the International Centre for Lifecourse Studies in Society and Health in London as from next Summer. Virginia Valian, Professor of Psychology at the Hunter College of New York, and Denise Sekaquaptewa, Professor of Psychology at the University of Michigan in Ann Arbor, were guests at the universities of Geneva and Lausanne from November 27 to 29, 2013. Their mission: to provide tools for promoting equality to the hierarchies of both institutions and to other relevant environments. This initiative of the Swiss National Centre of Competence in Research LIVES and the universities' equality offices is now also available in audio format. Geneva airport, Monday morning, November 25. We are waiting for Virginia Valian, ready to hold up a small name sign. Suddenly a little lady in a long dark coat appears, pulling a suitcase on rollers. Based on the photo, it looks like her: But there's no time to hold up the sign — we have to catch up quickly. Despite her jetlag, this experienced researcher is already asking questions. A bit of rest in her hotel, and in the late morning, we start linking questions with answers. This psychology professor has not come just to say what she knows. She comes to share knowledge, to exchange, but also to understand how the advancement of women works in Switzerland, in our institutions. We talk statistics, advancement stages in university careers, the Federal Equality Program, research, and equality action plans. She very quickly understands the complexity of our system. Always very curious, and above all, wishing to connect with her audience, she asks exactly who will be attending the first workshop scheduled in two day's time. She returns to her hotel with a pile of notes and documents to sift through. On Tuesday November 26, it's Denise Sekaquaptewa who deplanes. Tall, thin, very composed; she also observes and asks questions. We go see the meeting room, prepare the next day's session, and talk about organization of the space, as well as about equality... They leave to put the finishing touches on their presentations. Wednesday, November 27, 1:15 p.m., is zero hour in room 408 of the Uni Dufour building at the University of Geneva. Twenty-seven people are there: The entire chancellor's office, the deans or their representatives, some professors, including the co-director and some researchers from the NCCR LIVES, as well as some members of the intermediary staff, were all immersed in the subject. The two speakers depict numerous examples in several research studies on perceptions of gender differences, as well as from their own experience promoting equality. The participants ask plenty of questions, and discuss a lot during their group work. The next day, at the University of Lausanne (UNIL), in the Château de Dorigny room, 31 people answered the same call: a dean, many professors, including the director and vice director of the NCCR LIVES, and other members of the research centre. Once again, questions burst forth, and the morning is very interactive. Finally, on Friday, November 29, still at Lausanne, it's time for the train-the-trainer workshop, led by the two US researchers. It was attended by 40 participants from all over Switzerland who are involved in equal opportunity programs at the university, federal or cantonal level. Tips are exchanged and contacts are cemented. The two researchers reject some of the common explanations as to why women's careers stall. Demographic inertia, which results in men always being on top and women on the bottom, but time will do its work. On the contrary, they say it is necessary to be proactive, because there are not enough women in the pipeline. Unequal division of labor, in which women are overwhelmed and don't want to take on responsibilities. False, because women without family duties don't advance much better. This judgment cannot be made without looking at the environment, sometimes very hostile, in which women researchers are trained. Women don't know how to negotiate correctly, and that's why they don't break through. False, because even when women negotiate well, it is seen that women are listened to less, are less valued, and are penalized more than men. Virginia Valian brings up the issue of "schemas", which she prefers to the term "stereotype", because it is a broader concept. Experimental studies prove that women themselves undervalue other women and pass negative judgments on those who stand out. Psychology also underscores that those who deny the existence of inequalities are also more likely to have a negative opinion of women's competencies. According to Denise Sekaquaptewa, “Research also shows that we all – regardless of the social group we belong to - perceive and treat people differently based on their social groups (race/ethnicity, gender, sexual orientation, disability, etc.). We are all subject to unconscious bias.” That is why women, as members of a minority, are observed more, perceived as different, and confined to conventional roles. That is how small streams form large oceans of injustice: Fast accumulation of advantages allows men to progress faster in their careers, while women accumulate penalties. Both researchers believe that it is not stressed enough that mixed work teams succeed better. These advantages cannot be mentioned enough, and hierarchies must truly provide an impetus. “We don’t have to feel guilty about gender schemes. We all have them (…) But we do have to take responsibility for change”, Virginia Valian proclaimed during her public talk, inviting male university staff to change some habits: Look at women when they speak, invite more women to give keynote lectures, and nominate them more often for awards. As for institutional administrations, keep data and setting up task force can already do plenty to advance awareness beyond simple goodwill. Since 2011, the advancement award of the Seniors' University of Berne has been conferred annually on particularly meritorious research in the field of age and ageing. This year, the CHF 10’000 prize goes to Jeanine Zwahlen for her master thesis "Marital satisfaction in long-term partnerships: A typological approach", realized within the Swiss National Centre of Competence in Research LIVES under the supervision of Prof. Pasqualina Perrig-Chiello. The award ceremony will take place on the occasion of the Dies Academicus of the University of Berne on Saturday, December 7, 2013. The goal of the thesis was to identify patterns in the quality of long-term married individuals still in their first marriage, a group not substantially empirically researched. Based on NCCR LIVES IP12 questionnaire data from 258 women and 236 men (494 individuals total), all of whom were married for at least 40 years, a cluster analysis revealed two groups: a satisfied and an unsatisfied group of partners. The two groups not only differ in interpersonal and intrapersonal resources, but also exhibit different values in health factors. Satisfied individuals in long-term marriages reported higher marital and sexual satisfaction, and furthermore reached higher scores in co-development in the relationship. Additionally, happily married individuals were characterized by lower scores in social loneliness, better psychological and physical health as well as low neuroticism and high scores in agreeableness. Prof. Pasqualina Perrig-Chiello, head of IP12 at the NCCR LIVES, said, “Jeanine Zwahlen’s master thesis is an excellent scientific achievement, which helps fill a research gap. I find it remarkable that a master student addressed this complex topic in the condensed form of a scientific paper that is so differentiated and informative." International Conference organised by IDHEAP, NCCR LIVES and the Institute of Social Sciences of the University of Lausanne on April 10-11, 2014. Impact studies of selected social investment policies, such as childcare, active labour market policies, retraining programmes, etc..
Paper submissions should consist of a title, an abstract (300 words max.) and full contact details of all authors. They should be sent to socialinvestment2014@idheap.unil.ch no later than 20th December 2013. The Swiss National Centre of Competence in Research LIVES and the Equal Opportunity Offices of the Universities of Geneva and Lausanne have invited two eminent specialists of gender issues to run a series of workshops. From November 27 to 29 2013, they will attempt to make new ideas flourish in order to break through the university’s glass ceiling. Three major events will take place at the end of November at the Universities of Geneva and Lausanne regarding the promotion of women’s academic careers. This three-fold initiative is called “Gender Awareness in Academia: From Principles to Practice” and was born out of a mandate of the Swiss National Centre of Competence in Research LIVES – Overcoming vulnerability: Life course perspectives (NCCR LIVES). The NCCR LIVES partnered with the Equal Opportunity (EO) Offices of its two home institutions to plan and organise this training programme, intended for a variety of target audiences. As required by the Swiss National Science Foundation (SNSF), which funds them, all the national centres of competence in research such as LIVES have the promotion of women researchers as one of their tasks. “We wanted to give a bit of an innovative turn to our Action Plan”, says Prof. Nicky Le Feuvre, who is in charge of the EO measures on the LIVES Steering Board. The two keynotes are Virginia Valian, Senior Researcher at the Department of Psychology of Hunter College (NY), and Denise Sekaquaptewa, Professor of Psychology at the University of Michigan. She will replace Abigail Stewart, who had been announced in the invitations that were mailed last September, but who is unable to travel for health reasons. Both have conducted intensive research programmes on gender issues and actively participated in initiatives for the promotion of women’s careers in their respective institutions. The three-day programme includes a gender awareness workshop that will take place in Geneva on November 27 and in Lausanne on November 28. It is designed for senior members of the NCCR LIVES and other high-level academics. The workshop, to be run by Virginia Valian and Denise Sekaquaptewa, will be resolutely interactive, hands on and entertaining, offering those who have climbed the academic ladder an opportunity to critically explore their own beliefs and practices. With many specialists of social inequalities in the audience, the debate promises to be lively! On November 28, Virginia Valian will also give a public lecture, in English, at the IDHEAP Aula (Lausanne). Entitled “Why so slow?”, it will be inspired by her regularly re-edited best-selling book of the same name, first published in 1998. Drawing on data from psychology, sociology and economics, her conclusions remain highly topical and help to explain why even today so few women occupy positions of power and prestige in the academic world. Finally, on November 29, the two US researchers will lead a train the trainers seminar in Lausanne. This session is aimed at gender specialists, from within or outside the academic field, e.g representatives of EO offices in universities, city administrations, at the cantonal or federal level, as well as other people with a professional interest in promoting gender equality. This seminar aims at exchanging ideas, good practices and teaching materials, in order for the Gender Awareness Academia’s initiative to produce fruitful results in the long term, in as many domains and areas as possible.